A modular spreader frame was key to lifting the 4.2t bell tower back into place, as restoration of Manchester’s Wythenshawe Hall continues following a devastating fire that nearly destroyed the 16th Century mansion two years ago. 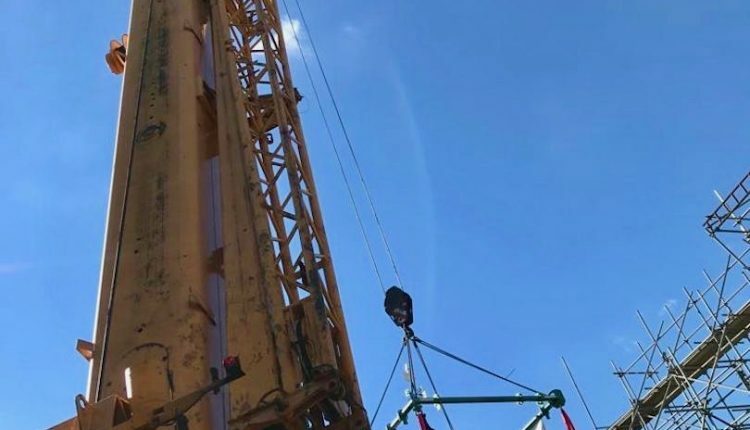 The 3m by 3m centrepiece of the rebuild was contract lifted to its 14m-high position atop the landmark site by a 100t capacity Liebherr LTM 1100-5.1 telescopic boom crane, supplied by contract lifting company Mobile Crane Services (MCS). Beneath the hook, a Modulift CMOD 24 spreader frame, provided by Lifting Gear Hire (LGH), was positioned above the load’s four pick points. MCS worked closely with Conlon Construction, the main contractor on the project, to plan the lift, which was a significant milestone in the hall’s refurbishment. The bell tower was removed after the fire and has since sat outside the entrance enclosed within a 3.5m (11.5 ft.) by 3.5m scaffold. Upon renovation, it has finally been restored to its rightful place. Spreader frames are recommended for loads that have more than two lifting points; they can also be used when headroom is limited. The CMOD concept is designed to expand the capabilities of the manufacturer’s existing product range; the struts from the beam are combined with four corner units to complete the frame. Customers that already have Modulift struts can reuse them with the corner units to achieve four-point lifts. Individually, MOD 24 beams can lift up to 24t at 5m (17 ft.) and up to 8m (26 ft.) at a lower capacity. The frame concept is currently available from the CMOD 6 up to the CMOD 250. The system will lift up to 300t. MCS provides national coverage with a diverse fleet of cranes ranging in capacity from 25t to 1,000t.